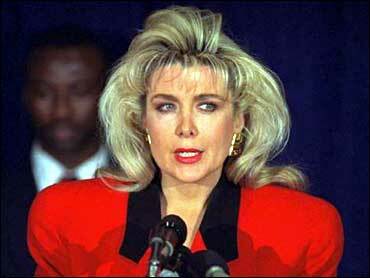 Gennifer Flowers is taking up Donald Trump’s presidential debate invitation. An assistant to Flowers also confirmed to BuzzFeed News that the model was willing to attend. The statement of support from Flowers comes after Trump threatened to seat her front-row at the first presidential face-off of the general election. Trump’s tweet was a response to the Clinton camp’s initial front-row invitation to billionaire investor Mark Cuban, a known Hillary Clinton supporter and vocal critic of the GOP nominee. Flowers said in a 2007 interview with The Associated Press that she supported Hillary Clinton’s first presidential bid. The Trump campaign has not immediately responded to a request for comment about whether it would actually seat Flowers in the first row at the debate.